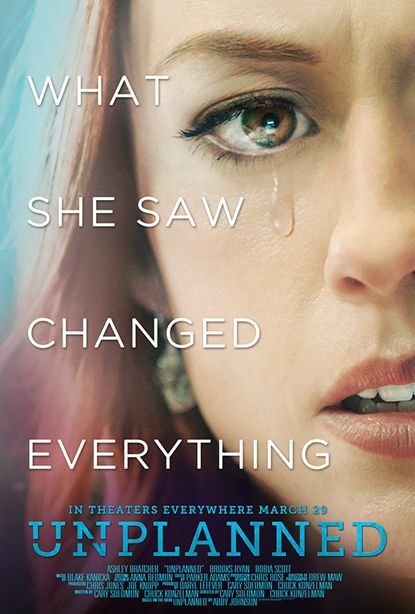 ‘Liked’ on Rotten Tomatoes by 93 percent of viewers, “Unplanned” tells the true story of a Planned Parenthood abortion-clinic director, named Employee of the Year, who walked away after learning her clinic was to double its abortion “quota” and after watching a 13-week-old frantically pull away during an ultrasound-guided abortion. Since Planned Parenthood made nearly $160 million from abortions last year and received more than $543 million in tax dollars, it’s not surprising its staunch supporters have fought the film with censorship, suppression and sabotage. I see where we passed an ordinance about motor homes parking on streets. But I guess it depends on what street. You have a guy who has a 5’ x8’ white trailer parked on a side street down, and he sleeps in it all the time. Looks like he has a stove in it as you see smoke coming from the top. This should count as a motor home also. He has been there for many months. You also have other motor homes on the road. Where do they dump their waste water? These are all eyesores for our town, and they should be in RV parks and dumping legally. Also if all of us have to pay property taxes and mortgages then so should they. Let’s clean up Colorado Springs and get these people off the streets. My wonderful son, Travis, was a light in this world since the day he entered it. He was bright, funny, kind, loving and compassionate. As an avid photographer, Travis loved the Colorado outdoors, and the warm energy he would find there. Travis was our miracle child at birth, and we know without doubt that he continued that miracle when he became an organ donor — giving the gift of life to three people after his passing. While the weeks and months after Travis’ death were some of the most difficult that our family has faced, we were able to find solace in knowing that his legacy will live on through the gift of organ, eye and tissue donation. In sharing the story of Travis and our family, I am hopeful that we can help inspire others to say ‘yes’ to organ, eye and tissue donation. DonateLifeColorado.org is a great resource with the facts you need to make an informed decision about donation and to sign up to become a donor online. You can also register when obtaining or renewing your driver license or state ID. We keep hearing how crowded our jails are. And there is discussion of releasing nonviolent criminals — even drug dealers who affect many. So now there’s discussion of jail time for wealthy parents involved in this terrible college admission scandal. I believe they should be accountable. I realize money penalties won’t be difficult for them. However, wouldn’t longterm community service in low-income areas be more beneficial to society than having them in prison? They are no risk for public safety but should have to pay for their crimes by helping society in so many areas. Their time and money could benefit others. I don’t mean being on charity boards, but where they have to get their hands dirty and help in grungy volunteer areas. Jail time will not benefit society. When Grandpa’s opening line is a condemnation of an entire generation’s “gross ignorance,” you know it’s time to either leave or buckle up for an ill-informed rant. Walter Williams’ column, “Millenials’ Disastrous Support of Socialism,” condemns that generation’s supposed embrace of socialism without defining the term. We know from his column, however, that North Korea definitely is socialist, but Denmark and other Scandinavian countries definitely are not socialist (according to Williams, “Scandinavian socialism is a myth”). However, Scandinavia has health care systems controlled by the government, and it has free college tuition. So, according to Williams, a society is not socialist merely because it has “Medicare for All” (or some variation of same) and free college tuition. I’m not advocating for free tuition or “Medicare for All,” and certainly not for Bernie Sanders. My point is that any argument that begins by labeling the opposing party, and then condemning that label, is inherently suspect. A more useful approach is to ask why a person calls herself “socialist,” and what that word means to her. That can be the start of an intelligent conversation. Who knows? We might learn how to improve capitalism so that these people aren’t moved to embrace a different label.